KSM353 rentals include ShureLock Wire Rope Shock Mount, aluminum carrying case and twenty-five foot (25') long XLR cable. Nationwide shipping available. The KSM353 is a premium bi-directional ribbon microphone crafted with matched polar pattern symmetry for pristine audio and hand assembled with proprietary Roswellite shape-retaining ribbons that provide revolutionary durability. Developed especially for prestigious vocal and acoustic performances in studio and concert hall applications. 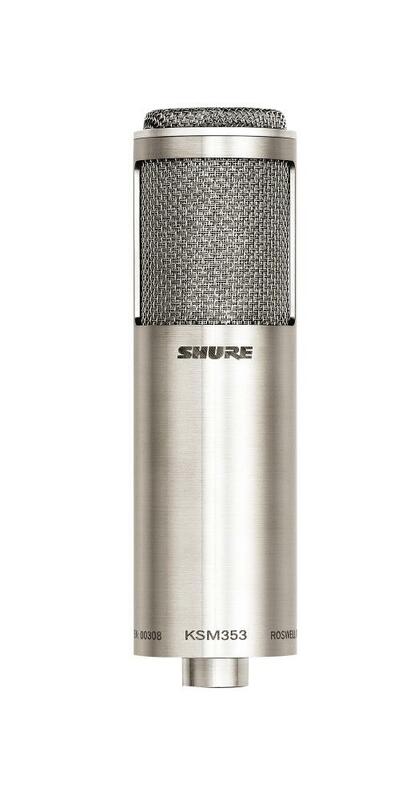 North Shore Productions rents the Shure KSM353 along with other premium microphones in the Shure KSM Series.